President Trump isn't shy about expressing his love for coal. His proposed budget offers no such love for investing in renewable energy. Trump wants to gut a key division of the Department of Energy designed to accelerate the development of clean energy like solar and wind power. The administration's 2018 budget would slash funding for the Office of Energy Efficiency and Renewable Energy by a stunning 71.9%. Those deep spending cuts are alarming the last seven Senate-confirmed individuals who led the renewables office, including three who served under Republican presidents. "We are unified that cuts of this magnitude...will do serious harm to this office's critical work and America's energy future," the former officials wrote in a letter to members of Congress on Thursday. The Department of Energy didn't respond to a request for comment on the letter, which was previously reported by the Washington Post. Budget documents published by the DOE argue that the spending cuts to the renewables office will focus resources on early-stage research & development. The DOE added that it also "reflects an increased reliance on the private sector to fund later-stage research, development and commercialization of energy technologies." But the former renewables officials note that investing in clean energy can support two key areas of focus for Trump: jobs and America First. Investments made by that office are critical to "creating good-paying jobs, cutting pollution and ensuring American global competitiveness," the letter said. 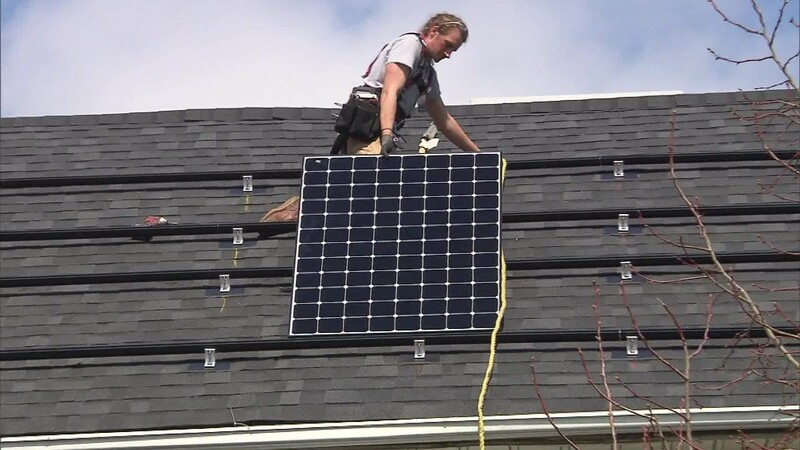 Solar employment expanded last year 17 times faster than the total U.S. jobs market, according to the Solar Foundation. Overall, taxpayer investment of $12 billion in the DOE's renewable division has generated an estimated net economic benefit to the U.S. of more than $230 billion, according to its website. While Trump has proposed cutting back on renewable energy investments, China is ramping up spending in this fast-growing area. The former officials note that China wants to spend more than $360 billion on renewables through 2020. "We ignore China's resolve -- and success to date -- at our peril," the letter said, adding that "millions of jobs" are at stake. Trump's stance on renewable energy differs sharply with his focus on supporting coal, which scientists say is a major source of the carbon emissions at the heart of global warming. Last week, Trump cited unfair pressure on the U.S. coal mining industry as a reason for his decision to withdraw from the Paris climate accords. "I happen to love the coal miners," he said. Trump's Paris speech did not specifically mention solar or wind power, other than to say that renewable energy alone can't meet all of America's energy needs. However, Trump did recently talk up solar energy with Congress recently. Trump told Republican leaders that his proposed border wall could be built with solar panels as a way to pay for it, sources familiar with the conversation told CNN.